Out of the pages of a magazine! Renovated from top to bottom, this stunning townhouse will have you packing your bags! 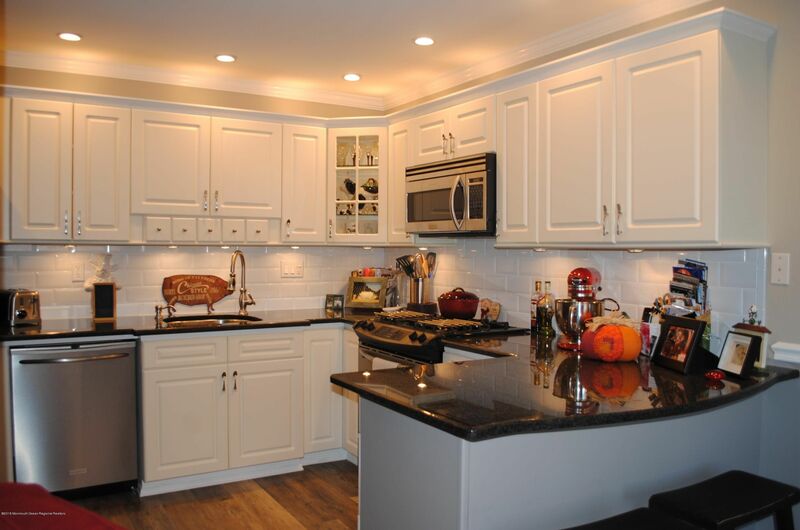 Gorgeous kitchen features granite countertops, stainless steel appliances, and under-cabinet lighting. Spacious living room with wood burning fireplace, dining area and sliders to large deck. Expansive master suite with two oversize closets and jetted tub with rainhead shower. Recessed lighting and crown molding throughout. Easy-care laminate-over-cork flooring downstairs (super quiet), Karastan wall-to-wall carpeting upstairs. New: attic fan and insulation (2017); skylight (2017); and hot water heater (2015). Hurry - this won't last! Make it yours today!